Since we made the decision in 1999 to begin organic farming we have noticed many benefits. Our soil quality has improved, our livestock seem healthier, and our fuel costs have gone down. We have found that through working with nature and the ecosystem that is already present on our farm, we are able to farm more effectively and efficiently. Learning to work with nature, instead of trying to master it, keeps us on our toes. We're always learning, but that's part of the joy of farming! "On our organic farm we've learned that our greatest resource is healthy soil." If you spend any time with David you are likely to hear him use the phrases "feeding the soil" and "the life in the soil." 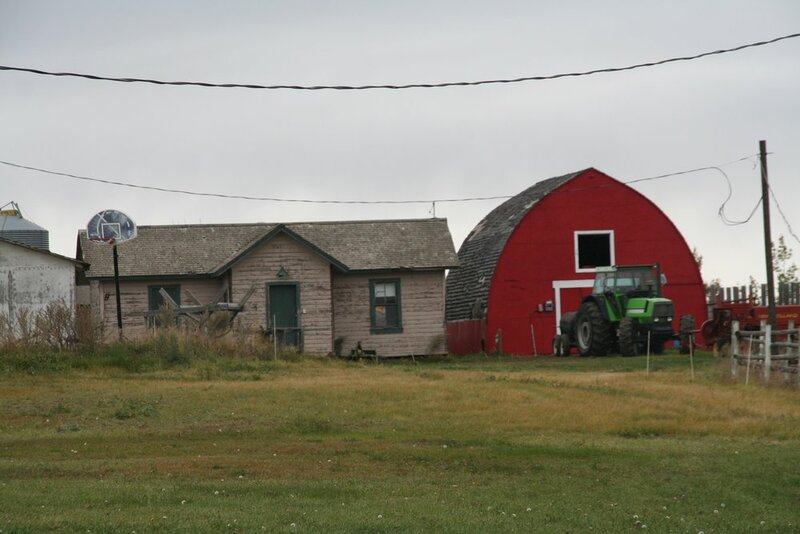 The basic idea is that the source of life for a farm is found in it's soil. Modern biology and agriculture is showing that a small square foot of soil is it's own ecosystem, home to millions of organisms. These organisms are constantly at work, breaking down nutrients to provide the environment in which our crops and livestock thrive. Consequently, if you want your farm to feed you, then you need to "feed the soil," by working to strengthen this natural ecosystem living beneath the surface of your farm. At the Witzaney farm we are constantly working and learning how to care for the life that is in our soil. This fundamental idea drives our basic practices on the farm. 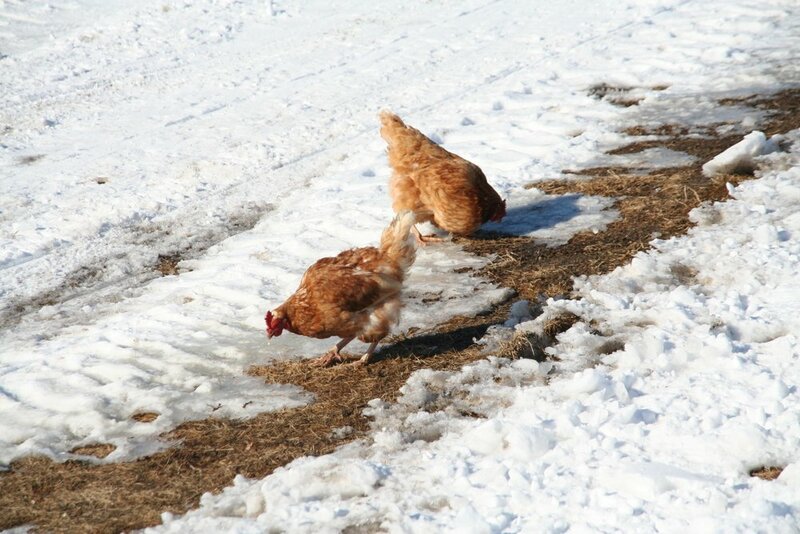 At the Witzaney farm our animals spend as much time as possible outside in their natural habitat. Of course, they have the option of shelter for when our Saskatchewan weather is less than hospitable. Raising our animals free range means that they are healthier and they also contributes to the natural ecosystem of our farm. Our cattle (and recently our sheep) improve the quality of our soil through fertilizing our fields and converting foliage into rich nutrient-dense soil. As a result our animals contribute to our farm's value not only in meat, but also by helping to "feed the soil" through our recently discovered practice of intensive grazing. We have known for thousands of years that rotating crops and resting fields is an effective way to improve the yield, soil fertility, and health of our fields. Just as any natural environment requires diversity to thrive, so also planting various cover crops, not intended for harvest, also helps improve the quality and diversity of life in our soil, while reducing soil erosion. (It is also a convenient reason not to be troubled with what many farmers would deem waste or a failed crop!) Different plants are able to bring up and use different nutrients in the soil, making these nutrients available for future crops. Additionally, since cover crops are not intended for harvest they remain green until the winter snows come, long after other crops have been harvested. This has two related advantages. Since these crops remain green longer they continue to capture carbon and produce nutrients through photosynthesis. As a result a cover crop enriches the soil more, since its natural growth season is not shortened by harvest. The longer green period of a cover crop also contributes to greater carbon sequestration, the capturing of carbon by green plants. In 2012 we began to move toward no-till farming. As we've come to value the life in our soil more and more, we've learned how important it is not to disturb this important ecosystem. Consequently, we no longer till or plow or fields, since turning the soil disturbs the life in our fields. We've noticed several benefits from this practice. We use far less fuel, since we no longer run our equipment over our fields to cultivate. We have minimized our input into our fields by working with nature to support the life within the soil. A further benefit of no-till farming is carbon sequestration. The rich foliage found in fields that are not tilled captures carbon from the air far more effectively than in a field that is tilled. We recently have begun to implement a grazing technique with our cattle called "intensive grazing." In intensive grazing, we divide our grazing fields into smaller sections called paddocks with temporary electric fence. This forces our cattle and sheep to graze each paddock more efficiently than they would otherwise. Our animals eat much of the vegetation that they would not otherwise. This enclosed space (it's quite large!) also allows them to distribute their manure more uniformly. Once they have eaten roughly a third of the vegetation and have trampled two thirds, which will feed the soil, we give them a new paddock. Using this technique we are able to make better use of our land, since our animals do not wander across our pasture, only eating their favourite types of vegetation. They also help to improve the life in the soil through fertilizing with their manure and trampling down vegetation that will soon contribute to the organic matter beneath the surface of our fields. Coupled with crop rotation and careful management of our grazing pasture, this technique makes our land more fertile and contributes to the quality of the grain that we harvest. Our animals and their grazing play an important part in the ecosystem that makes up our farm! In addition to farming livestock and grain, we are fortunate to have our own mill on the farm. We are able to clean our own grain and are able to process our grain into flours, rolled oats, pot barley, pearled wheat, and various cereal mixes. 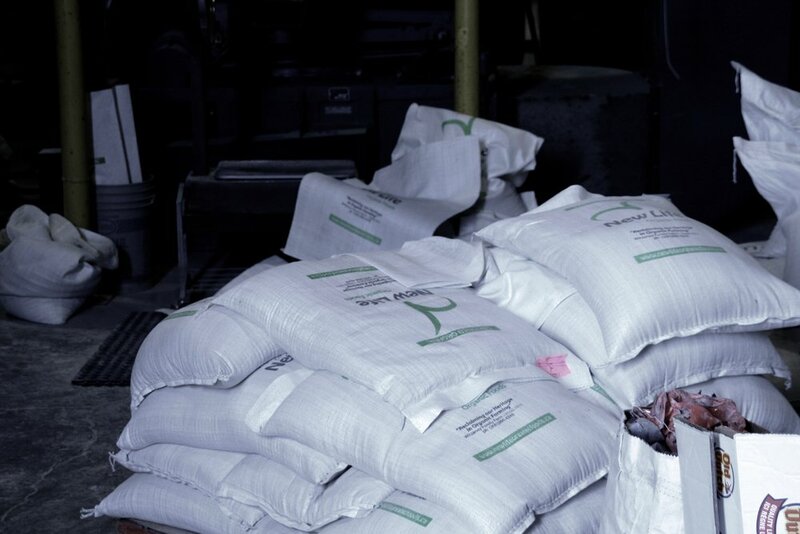 It allows us to add value to our grain and to provide products that are ready to use for our customers. Furthermore, we are able to make use of the screenings from cleaning our grain to make feed for our pigs and chickens. Nothing goes to waste, and this helps support our holistic approach to farming.